We’re always hearing about famous sports stars, film stars and pop stars. But what about science stars? They rarely get much glory – but they make a huge difference to how we live each day. Luckily, this series is here to introduce top scientists in simple facts and appealing pictures, plus detailed life stories and timelines. 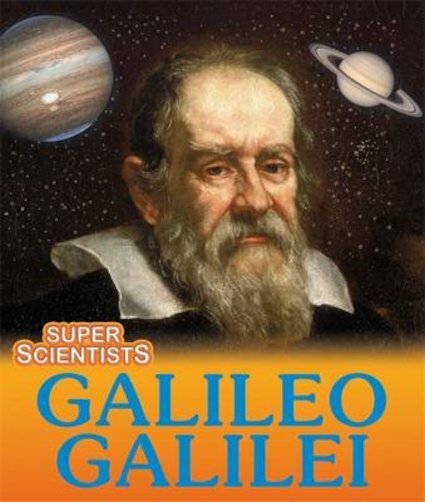 Now it’s time to meet a true ‘father of science’: the astronomer Galileo, who lived over 400 years ago. His theories got him into big trouble in his lifetime, but they are still hugely important to how we understand our universe today.